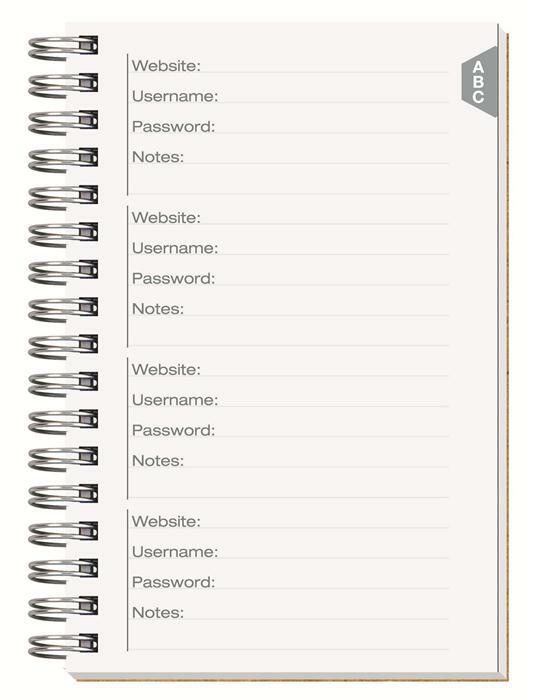 4" x 6" password log to keep track of important web site usernames and passwords. Covers are durable thick 50 pt. cover stock, foil stamped one standard color. 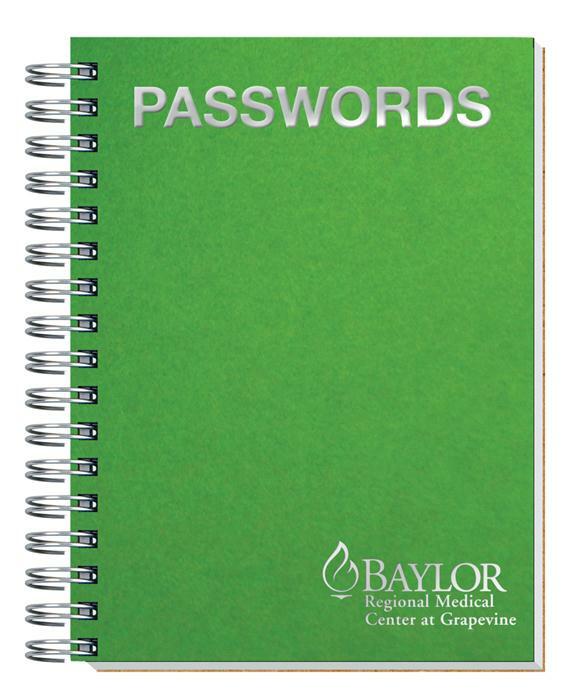 Contains 50 password log sheets printed in black on front and back, 60 lb. white offset paper. Wire-O bound on left side in black.